Hi everyone! My name is Traci Hazlegrove and I am the College and Career Readiness Liaison here at LHS, I am here for any needs that students or parents may have preparing for life after high school. I am located in the Career Center (2E44) which is open during the school year from 8:00 a.m. to 3:00 p.m. Students and parents can meet with me about the college process/college search, testing, summer programs, jobs, or other college and career related topics. Please do not hesitate to call or email me to set up an appointment! You can also bring your lunch to the Career Center so that we can work together to make your higher education goals a reality! Advisor, Rebecca Russell (301) 475-0200 rkrussell@contracted.smcps.org. Would you like to earn an extra million dollars? According to the US Census Bureau, that is the difference in lifetime earnings between a high school graduate and a college graduate. Navigating through the college process can be a challenge. The College Access Program (CAP) at Leonardtown High School is designed to work with students, one on one, to achieve their higher education goals. Weekly sessions for juniors and seniors help students with career choices, college matching, SAT info, scholarships, financial aid information and other topics. Sessions are held in the College & Career Center during a student’s lunch on Monday for Juniors and on Wednesday for Seniors. Any student with a 2.5 GPA and above is encouraged to attend. There are currently scholarships available for all grade levels. 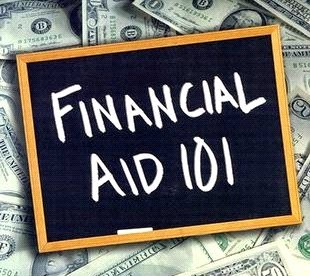 You can find the scholarships along with the requirements and due dates at the following link. If you have any questions please do not hesitate to ask! Please see Mrs. Hazlegrove to sign up for any of the following events! Seniors - The SMBECA Scholarship is due on February 15th and must be turned in to Mrs. Hazlegrove in the career center. You can access the application and instructions at the link below. Please be sure to fully read the instructions for the application! The HBCU (Historically Black College and University) Fair will be held on February 22nd at the Dr. James A. Forrest Technology Center. Interested LHS students will be attending the fair from 11:00am – 12:00pm, we will meet in the career center and walk over as a group. The ASVAB will be given on April 5th. This exam will be open to students in the 10th, 11th, and 12th grade. There will be a practice ASVAB on February 15th during one lunch.